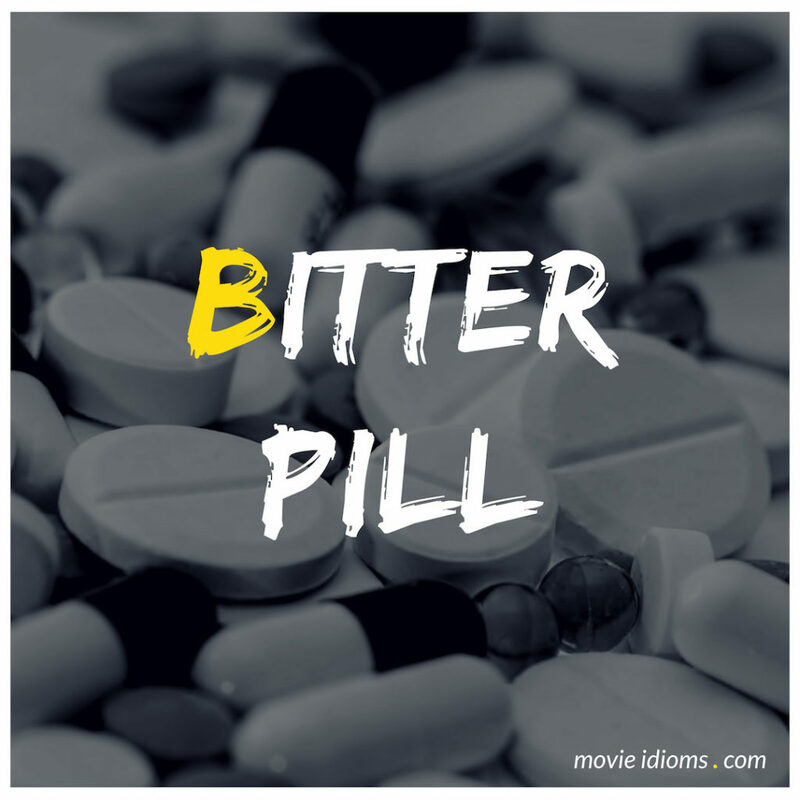 What does bitter pill mean? Walt Disney and Richard Sherman: My world was calm, well ordered, exemplary. Then came this person, with chaos in her wake. And now my life’s ambitions go with one fell blow. It’s quite a bitter pill to take. Walt Disney: Inspired by someone we know? Richard Sherman: You’d have to ask Bob. Selena: Don’t call me “your sweetness.” I am not sweet. I am Selena. And I am a bitter, bitter pill to swallow. Mandy Hampton: Would you tell him that signing the bill and, thus, swallowing the bitter pill of strip mining would not foreclose a PR approach that would trumpet banking reforms while at the same time excoriating the special-interest strip-mining scam which, by the way, is what I am happy to call it. Tell him that. C.J. Cregg: Toby, Mandy wants you to recommend to the President that we do it her way.